Locals react after Northern Pulp clear cuts the top of Higgins Mountain in Nova Scotia's Wentworth Valley, almost directly opposite the ski hill. 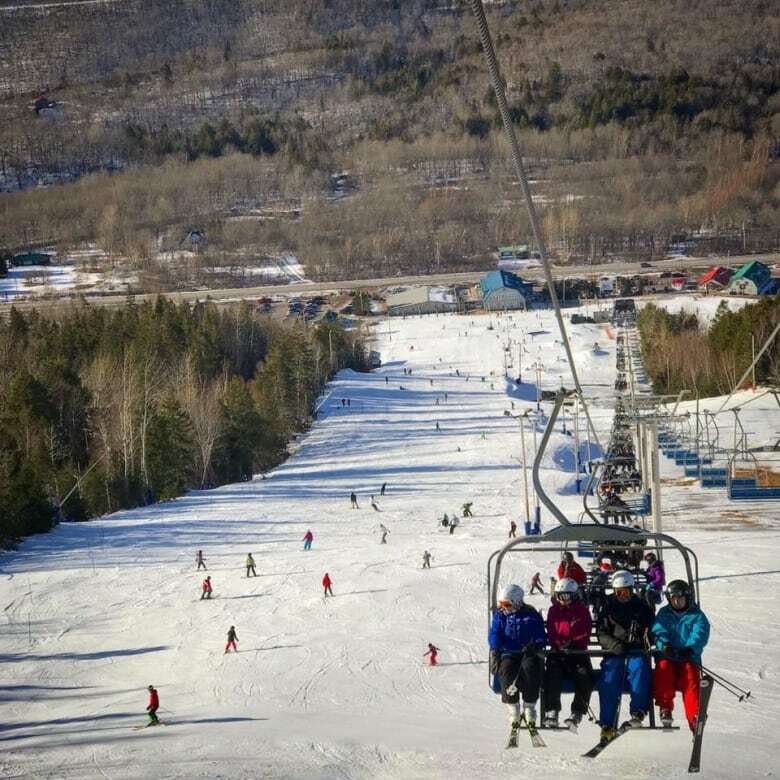 A clearcut in Nova Scotia's Wentworth Valley is being called a "great big, ugly, bald spot," and is being criticized by an environmentalist and by the operator of a nearby ski hill who worries it will damage his tourism plans. 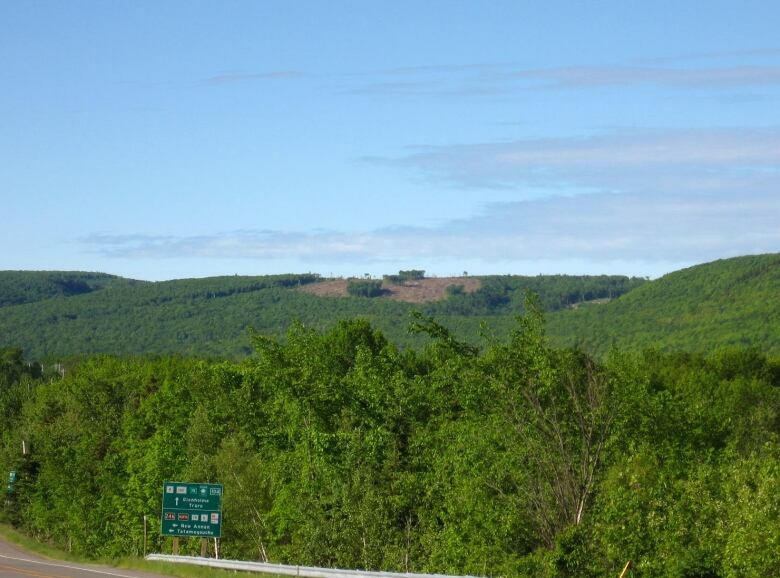 The land — on top of Higgins Mountain and opposite Ski Wentworth — is owned by Northern Timber and being harvested by Northern Pulp. Jordan Sprague, president of the non-profit Wentworth Community Development Council, said while his group is committed to remaining neutral on the issue, none of the 15 to 20 people who attended a June 12 community meeting on the subject were in favour of the clearcut. "You can see the bald spot — you can see it in plain view — for about eight kilometres before you even get to it," Sprague said. "It's a big brown spot in the middle of all these luscious green trees." Sprague said some members of the council are concerned the clearcut could hurt the tourism plan they are designing for the region, which involves promoting cycling, hiking and waterfall trails, as well as a series of look-offs. The new clearcut could also put "a damper on our Fall Festival of Colours because there'll be no colours on this particular spot," Sprague said, adding that beautiful forests are "what we're famous for." He said some locals have spoken out in favour of the project, saying the harvest could create jobs in the short term and that the clearcut could eventually be used to grow blueberries. He said some are pointing out that we all use wood and paper products and that "trees grow back." 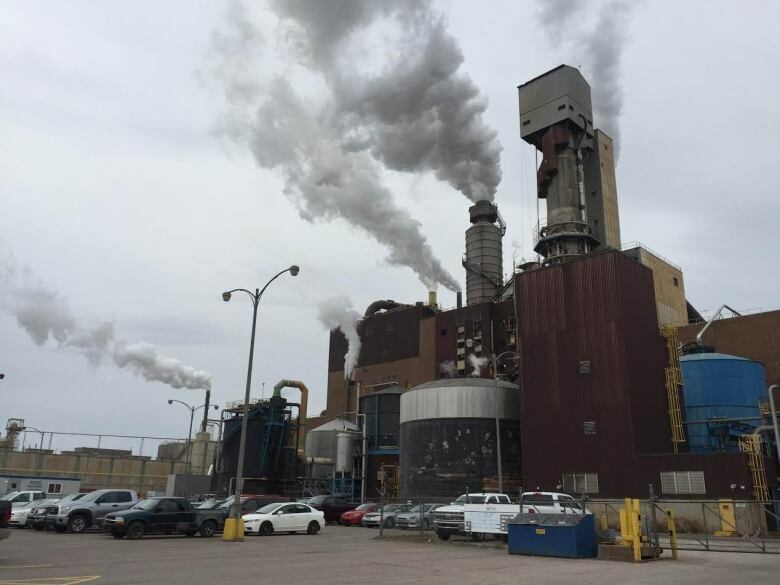 The communications director for Northern Pulp, Kathy Cloutier, confirmed the harvest began in mid-May and is expected to continue for approximately four more weeks. She said 86 hectares have been cut so far and less than 100 hectares remain to be harvested, over a six-kilometre radius. Some of the hardwood trees will be used for lumber and the rest — a mix of hardwoods and balsam fir — will be chipped, Cloutier said. Most of the hardwood had been damaged by ice and wind, she said, and that's why the company chose to clear cut instead of doing selective cutting. The director of Ski Wentworth, Gregor Wilson, said if the clear cutting continues it could ruin his plans to turn the ski hill into a four-season mountain sport destination, what he calls a "regional Whistler." "Wentworth has long been known as a shining tourism star," Wilson said. "To clear cut in the middle of it just doesn't make any sense whatsoever." 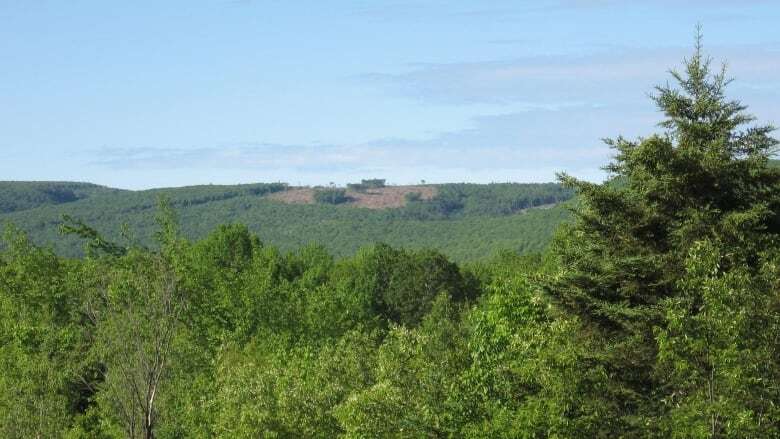 Last summer, the province announced it was abandoning a recommendation made in 2011 as part of a natural resources strategy to reduce clear cutting in Nova Scotia by 50 per cent within five years. Raymond Plourde, the wilderness co-ordinator at the Ecology Action Centre, said that was a mistake. 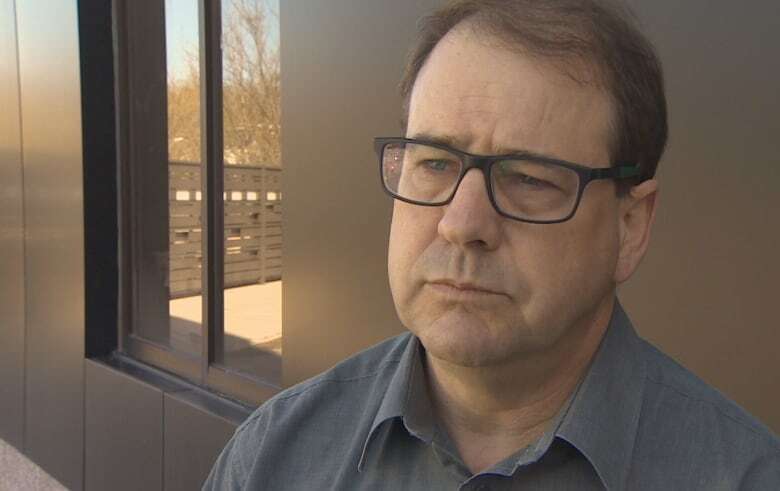 If the target had remained intact, he said it likely would have forced the province to determine where clear cutting should happen, and where it shouldn't. He said the Wentworth clearcut is a perfect example of a bad fit. "They could have at least stayed behind the ridge where it wasn't as visible," Plourde said, adding that Northern Pulp "couldn't have antagonized the community more" by cutting where it did. There should be regulations to ensure that clearcutting doesn't happen "right in the face" of a community, he said, even when it happens on private land. 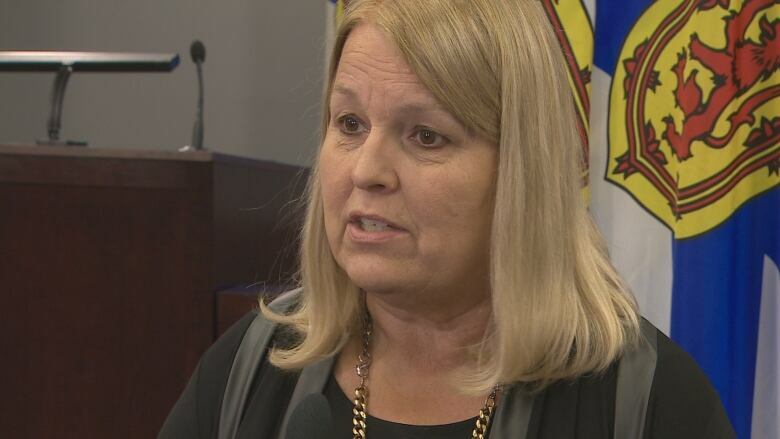 Natural Resources Minister Margaret Miller declined to do an interview on the subject, but Plourde said it is entirely within the province's powers to regulate clear cutting on private land. He cited the Wildlife Habitat and Watercourses Protection Regulations, under the Forest Act, as an example of how they are already doing that.